- 2 corners pass into middle, then pass out side. Vary dimensions of Grid depending on ability. - 4v4 in grid, using large goal and neutral GK. 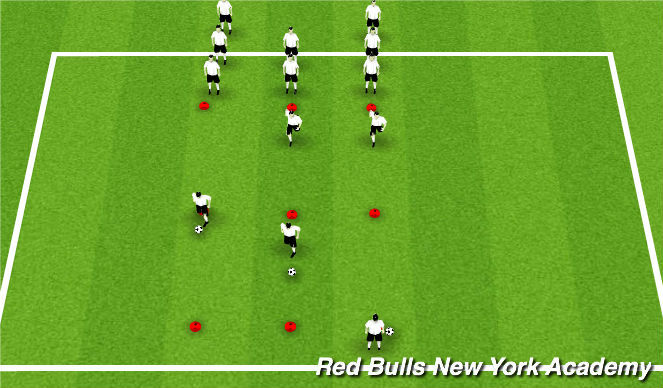 - Opposite end use two goals in corners. - Ball starts with GK who plays to defending team (Red). - Red team must possess ball to corner goals and dribble through the goals. - Once they are in the safe zone through the corner goals they now attack the full size goal. - Defending team must dribble through corner goals before attacking full size goal. 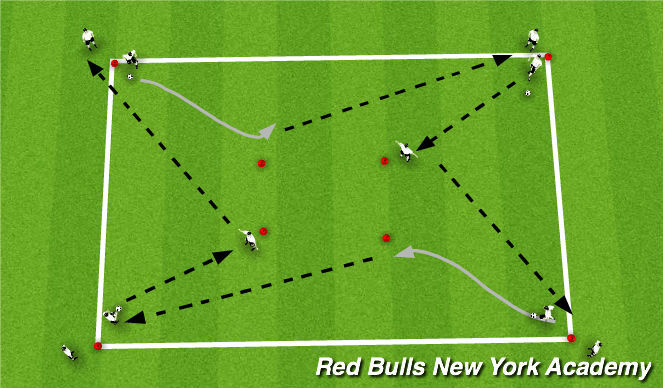 - movement off the ball in advance of pass.